Talented Seattle-based architect Robert Zimmer joined forces with acclaimed veteran Harry O. Ray to form zimmerraystudios in 2008. The company recently introduced a new website, which seemed a good time to ask Bob for a few minutes to discuss his work, his ongoing partnership, and regional architecture with Seattle Arts & Architecture. The launch of zimmerraystudios came after Bob (left) ran his own practice for more than a decade. In the 18 years before that he was a Principal at LMN Architects. There, his design and management skills were called upon to lead numerous public projects, including convention and conference centers, cultural facilities, higher education buildings and most recently the award-winning Seattle Central Library. These usually required coordination with other prominent firms and occasionally brought him in contact with such influential and inspiring designers as Frank Gehry, Rem Koolhaas, and the late Arthur Erickson and Charles Moore. Harry began his career in the early 1980s in Southern Nevada and then earned Bachelor and Masters degrees at the University of Washington. It was there he developed a deep love for the Northwest and remained in Seattle for 15 years before returning to Nevada in 2002. 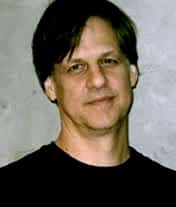 His design work includes the first major expansion of McCarran International Airport in Las Vegas, and a great deal of the subsequent airport development. During his career he has coordinated multiple-scale projects ranging from the large and long-term to the small and personal. He has been associated with several Seattle firms including LMN, NBBJ and TRA and has worked on a variety of large-scale master plans, from a three-county public transportation center to a airport concourse expansion and the Seattle Mariners baseball stadium. We asked Bob for a few examples of his favorite work. "One design I call the Admiral Live-Work project (at top of page and in slideshow below) is a flexible live-work building with two dwelling units," he said. "This design can be used to create a space that will easily transform into a multi-family or commercial structure." View of back courtyard with private patio, basque of maples, and an urban garden. A stairway connects a flexible multi-media conference-room-by-day and home-theater-by-night to the ground level office spaces. Careful planning accommodates energy and living enhancements and over time. "Another is Leschi House (below), which was a redesign of an over-budget pseudo-craftsman expansion project," he said. "The promise to the owner, and challenge, was to bring the project back within budget, including design fees. In turn, the client had to agree to be open to simpler and more modern design expressions in obtaining their desired goals." Lake Washington view out corner window of second floor master suite. Exterior, front-of-house view of remodeled and expanded bungalow. The third was Capital Hill House. "This project was completed in three phases that required a master plan that would accommodate the evolution of build-outs for a growing family," Zimmer said. "The first phase was a remodel of a 1906 structure. It had been chopped into a house and illegal apartment and needed to be turned into a modern single family home. The second phase was to create a flexible backyard storage and car park structure, and the third phase was the addition of a second-story master suite." The modernized and combined kitchen and dining (and mud room beyond) were inserted into the 1906 structure. An original kitchen bearing wall was replaced with a new steel beam to promote openness. The original living room corner fireplace / oil heating system was reoriented to the kitchen and modified to support a new beam, provide storage, and receive the flue of a new wood stove. "Fourth was the Arboretum at the University of Idaho (rendering below), where we were to design a new structure emphasizing entrance to one of North America's best arboreta. The solution was entirely non-architectural. There is no structure whatsoever. Rather, we had to merge two arboreta and create a new gathering place. It was necessary that the arboreta and gathering space recall the campus origins — an Olmsted-designed green space — and finally, to extend the academic mall. This required cutting a swath through a dense, steep slope arboretum to the highest summit in the area, which is where the president’s residence is located and adjacent to the new gathering space. It would be a circulatory system that connected some of the university’s greatest physical assets." While Zimmer's business partner is an acclaimed architect, his life-partner is the acclaimed photographer Lara Swimmer, who was our first profile. It prompted a question about the role photography plays in documenting the work of architects as well as its value for public understanding. "The role of the photographer is crucial for the design architect of a building," he told us. "In as few shots as possible, the photographer must record an accurate representation of the overall concept and then, with additional photography, thoroughly document the design. An architecture firm like zimmerraystudios uses photography of its designs extensively as a record as well as for marketing material in pursuit of other commissions." "It is a challenging project that is both 'in the woods' and relatively close to downtown Seattle with the best attributes of both rural and urban conditions," Bob said. "We call it Triple-double House because each of the three structures is comprised of two units – a primary residence and an accessory dwelling unit. 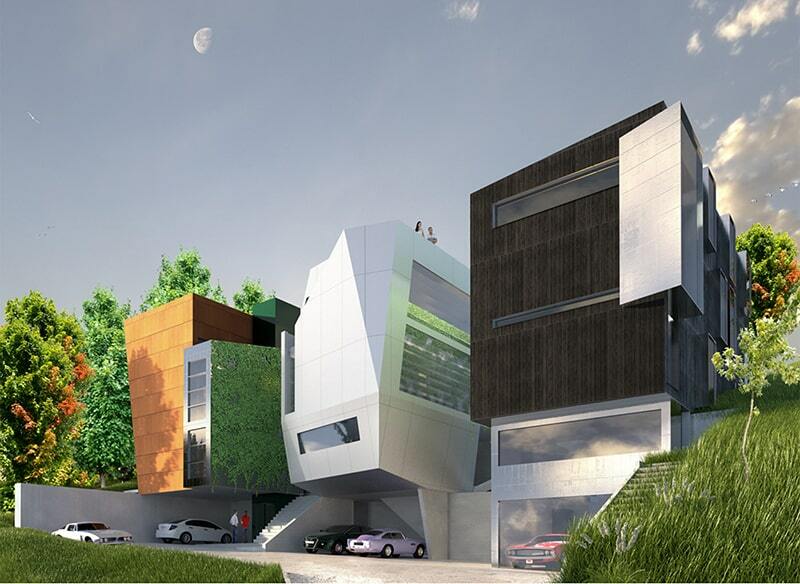 The entire development is unified by a site-stabilizing base of shared parking and a pedestrian entrance/hill climb. All six dwelling units are accessible by means of a terraced concourse and the entire circulation system is served by a single elevator and common stair system. While all three homes employ the same structural systems, they all exploit particular site attributes resulting in very different characteristics and experiences for their inhabitants." A one-week concept study reveals the property’s potential and imparts design inspiration. Fully accessible Forest Lawn dwelling takes advantage of zero-lot-line side yard with naturally forested, steep-slope street right-of-way protected from "improvements"
Seattle Arts & Architecture will be following Bob and Harry's ongoing projects and updating this story as designs are completed. 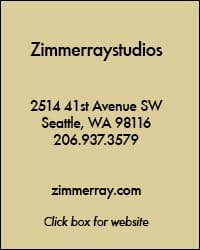 To check out their website, click zimmerraystudios.